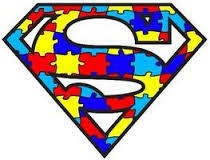 The inspiration of Superman, Batman, Captain America, and others sets the backdrop for a Superheroes For Autism 5k event at Kiroli Park Saturday. 5k organizers discuss run and support of local resources on autism. A 5k and 1 mile fun walk course are accompanied with booths and activities for parents and children. "The event came about through my nephew's passion for superheroes," says Shonda Montague. Characters will be on hand to greet children and welcome photos during the event. Food and beverage are available and information on local autism resources is provided at several booths. Proceeds support Families Helping Families of Northeast Louisiana.